Lalbhai Dalpatbhai Museum is named after Lalbhai Dalpatbhai and is located on a spacious campus in the western part of the city in an area dotted with educational and research institutes and in the vicinity of Gujarat University. It is about seven kilometres from the Railway station and twelve kilometres from the airport and is therefore easily accessible from any part of the city. 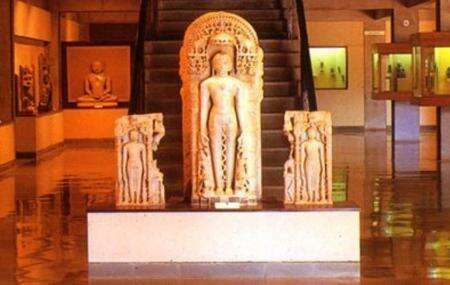 The Museum is the product of the vision and energy of the two remarkable persons who were responsible for its establishment: Muni Shri Punyavijayji, an erudite monk scholar, and Sheth Kasturbhai Lalbhai, the well known industrialist of Ahmadabad. It houses rare manuscripts and important pieces of archaeological art. After the tour of Lalbhai Dalpatbhai museum do visit NC Mehta museum which lies in the vicinity and is known for its rare miniature painitings. Passport office bus stop are located in the vicinity of the museum. How popular is Lalbhai Dalpatbhai Museum? People normally club together Dada Hari Ni Vav and Amdavad Ni Gufa while planning their visit to Lalbhai Dalpatbhai Museum. Good one. Buddha statues Good arrangements of things. Specialty : What I found special in this is that they have line drawings of olden times kept for presentation its like half done sketches and its beautiful. Also called institute of indology, this place is absolutely beautiful with the amalgamation of concrete with nature. Peacocks roam freely here and you get to witness the conservation of ancient Jain manuscripts. A must see exhibition of Indian drawings curated by Director and veteran art historian Ratan Parimoo. Lovely space designed by Balkrishna Doshi. An oasis of peace in the midst of busy Navrangpura. The next door N.C. Mehta collection within the same campus is also not to be missed. Superb experience. What an amazing place. So peaceful. Can't believe that this place is on main road but after entering the campus, you feel you are far away from main road. What a collection of pictures, coins, idols. Amazing collection of Jain, shaive, Buddhist sculptures. Got to see few jain tirthankara idols so closely. If you see into the eyes of idols closely , you will start feeling something different. Above all, what a collection in library. Two sections in library. One for books and another one for manuscripts. They have 80000+ manuscripts in the library. Some of the books are so rare. This institute also invite scholars to speak on various topics. The place is very well maintained. Everything is kept in a way that is clear to see, plus they also have descriptions.